It’s important to include more vegetables in your diet for proper nutrition. Vegetables are low in fat and have many important vitamins and minerals. They are also high in fiber, which is important in regulating your digestive system and preventing constipation. Another benefit is that many vegetables require a lot of energy to digest, which means you can burn a lot of calories by just eating more vegetables. An easy, yet effective way to improve nutrition in your diet is to incorporate fresh, raw veggies into your daily routine. By eating organic fruits and vegetables, you will be able to quickly and deliciously gain a hearty dose of vitamins, minerals and fiber any time of the day. 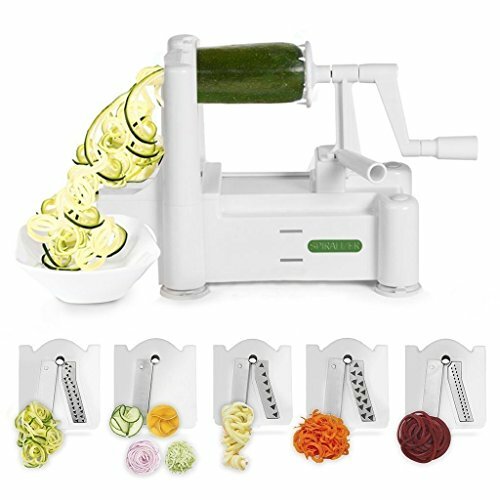 You can use a spiralizer to quickly produce beautiful, tasty spiral slices of most vegetables. If you have never tried spiralizing, look for spiralizer recipes, including how to spiralize zuccini, for instance. If your child doesn’t like to eat vegetables or fruits, try to be creative to get them to eat. Mix some sliced peppers or broccoli into spaghetti sauce. You can cut up some fruits and mix them into your child’s cereal. They’re more likely to eat healthy foods if they’re mixed into foods they already like. You can also use vegetables in unconventional ways to maximize the amount your children eat. Using vegetables in dishes that normally do not call for them, such as lasagna or homemade pizza, can make mealtime fun for kids because it adds a dose of variety. Eating vegetables will not be so bad if it is in the foods they love. And spiralizing your veggies, to make them into different shapes can also encourage them to eat up by making veggie spaghetti or vegetable noodles. These are also useful for dieters who miss their piles of steaming spahetti. These can be replaced by steaming spiralised zucchini or veggie noodles. Raw vegetables are some of the very best foods to include in a healthy nutrition plan. It is not enough to eat vegetables in any form. Cooking vegetables may leach vital nutrients and vitamins out of them. Many recipes for vegetables call for the addition of unhealthy, fattening taste enhancers. It is better by far, to develop a taste for vegetables in their natural, unaltered form and spiralizing them can help encourage more vegetable consumption.